It’s the season of twinkling lights, candy canes, and garland galore, but not all sweet things come in stockings. This year, you can have your fill of delicious seasonal offerings whether you’ve been naughty or nice. Pumpkin tarts, eggnogtinis, award-winning oatmeal raisin cookie beer, and peppermint soft serve ice cream are just a few of these exclusive holiday menu items only available in the Tri-Valley. Read below for more traditional holiday tastes with a twist, and start building your wish list. 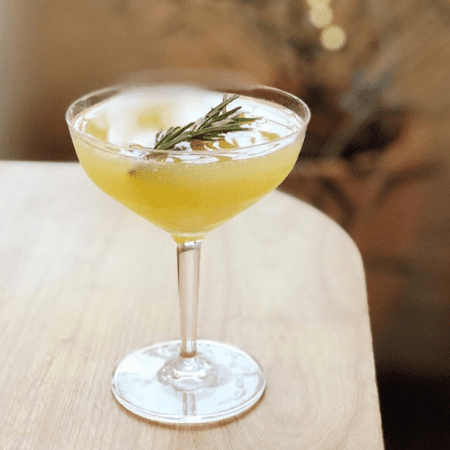 The Home for the Holidays cocktail is crafted with rosemary infused vodka, fresh-squeezed Clementine, and cava. This Livermore hotspot sources ingredients seasonally and locally, so be sure to check out the rest of their Fall dinner and brunch menus. Back for a limited time, you won’t want to miss Simply Fondue’s famous Eggnogtini. Also featured on their menu is a seasonally inspired martini flight complete with the classic cosmopolitan, pineapple upside down martini, and Fall flavors like apple pie, cinnamon roll, pumpkin pie, and chocolate salted caramel. 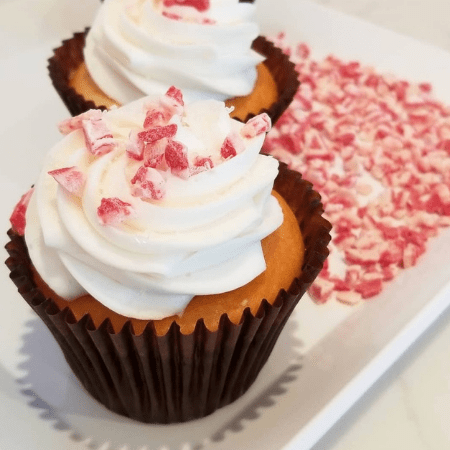 Smallcakes in Danville has a special holiday lineup of seasonal flavors including white chocolate peppermint (pictured), candy cane oreo, pecan pie, hot cocoa, and pumpkin cookies ‘n cream. Check their instagram for updates on their exclusive offerings, which change daily! 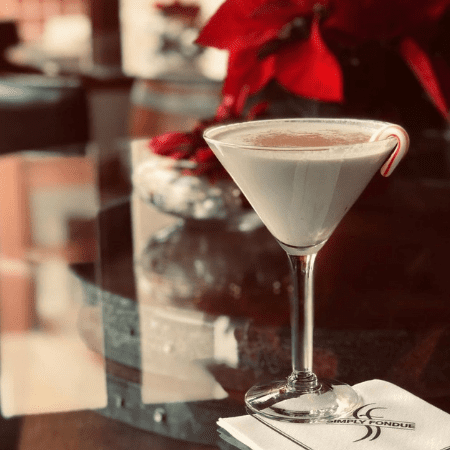 This cozy cocktail can be found in the heart of downtown Pleasanton at Baci Bistro on Main Street. 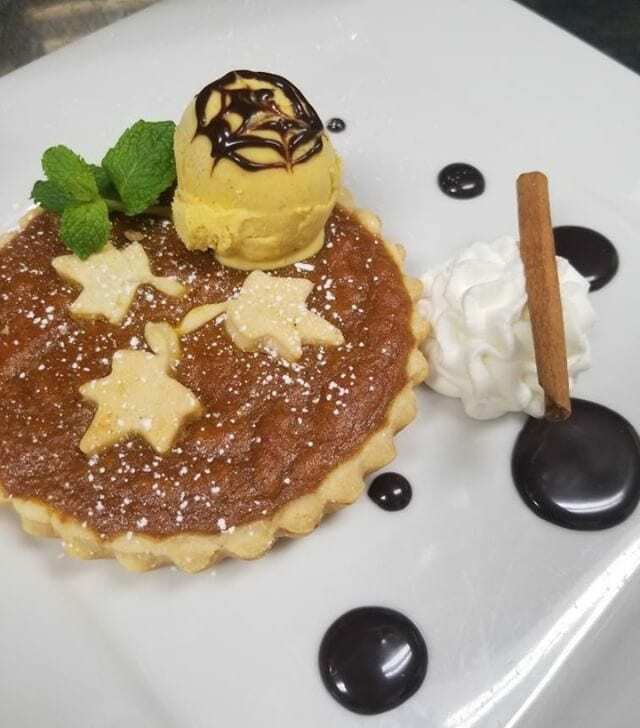 If their winter wonderland decorations don’t make you feel at home, their sweet treats will.Try their seasonal pumpkin tart topped with pumpkin gelato and whipped cream – you can ogle it here. Also on their holiday menu a delicious cherry martini. 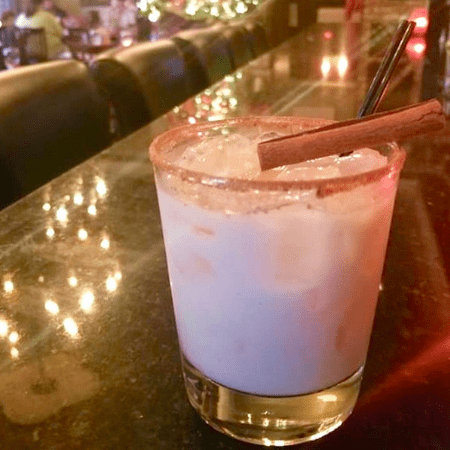 This isn’t your dad’s egg nog. 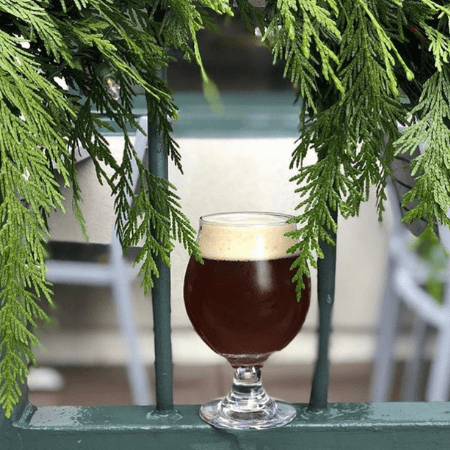 Beer Baron combines brandy, rum, Madeira, winter spices, cream, and egg to make this delicious spin on a traditional holiday beverage. 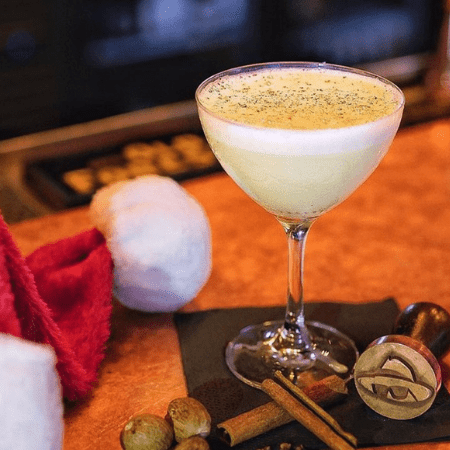 They’re also offering a Hot Buttered Rum served in a Santa or reindeer mug, an Irish Coffee that’ll do more than wake you up, and their signature Grasshopper cocktail, which tastes like an Andes chocolate melting in your mouth. 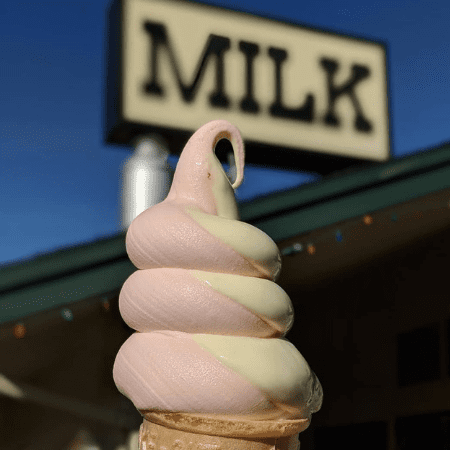 Meadowlark Dairy is known for their scrumptious and unique soft serve flavors, and this year’s holiday menu doesn’t fail to impress us. Order up either of these holiday flavors together, individually, or swirled up with one of Meadowlark’s other resident flavors like chocolate, vanilla and strawberry. 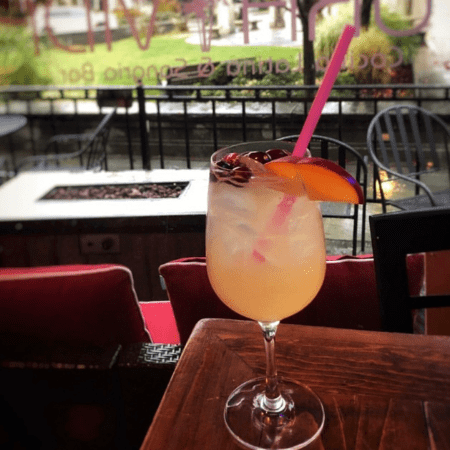 Stroll through the streets of downtown Livermore and pop into Pura Vida for a refreshing holiday sangria. For those extra chilly nights, arrive early to score a spot next to one of their toasty fire pits. 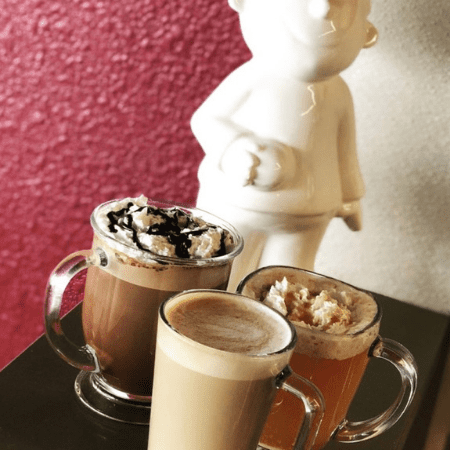 Take a trip to The Steam House to sip on your classic holiday beverages or try new Fall flavors with a flair. The Steam House will happily whip you up a hot chocolate or white mocha, but they’re also featuring peppermint mochas, gingerbread lattes, and caramel apple steamers for a limited time.